A Survey of Special Educational Services Delivered to the Individuals with Disabilities at Special Education Institutes and Centers in Kingdom of Jordan. By Mezyed A. S. Adwan, Ph.D.
Young students are lively and active and need movement while they learn (Moyles, 2015). However, there are certain learning activities that require students to remain seated or keep their physical motions to a minimum. Many of today’s classrooms offer alternative learning activities and seating solutions for students with and without diagnosed sensory integration issues. Many new techniques have been found to useful for students with specific needs and also help to serve the needs of the wider population. The use of fidget toys, wiggle seats and other tools based on occupational therapy offer students a possible solution to the need for movement while remaining attentive. Kotter, P. John. A Force for Change: How Leadership Differs from Management. New York: The Free Press, 1990. 177 pp. $ 17.00. Dr. John Paul Kotter has been recognized as a well-known expert on leadership. He is a professor of Organizational Behavior at Harvard Business School in Cambridge, MA. He has conducted intensive research in organizational change and he is the author of twenty successful books. Twelve of his books have been business bestsellers and two overall New York Times bestsellers. In this article, Dr. Joyce Pickering—a Montessori educator, speech and hearing pathologist, and learning-differences special—explores why the Montessori Method, with its comprehensive multisensory curriculum, is critical to the progress of children who learn differently—including children with dyslexia, ADHD, communication disorders, intellectual deficiencies, and autism. Pickering provides a comprehensive and detailed suite of therapeutic strategies that can be used with this population, along with the Montessori Method, to enhance students’ educational progress. The immediate past president of the American Montessori Society, Pickering is also executive director emerita of Shelton School & Evaluation Center in Dallas, Texas, the world’s largest private school for children with learning differences. Whitaker, T. (2013). What Great Principals Do Differently: 18 Things That Matter the Most. New York: Routledge. 146 pp. $39.90. “Great principals never forget that is people, not programs, who determine the quality of a school” declares the author of this book while explaining the qualities that distinguish great school leaders. Todd Whitaker started his career as math teacher in Missouri and years later became a principal serving middle school, junior high, and high schools levels. Currently, Whitaker is professor of educational leadership at Indiana State University. His passion for education motivated him to research and study effective teachers and principals which made the basis for writing more than forty publications about staff motivation, teacher leadership, and principal effectiveness. 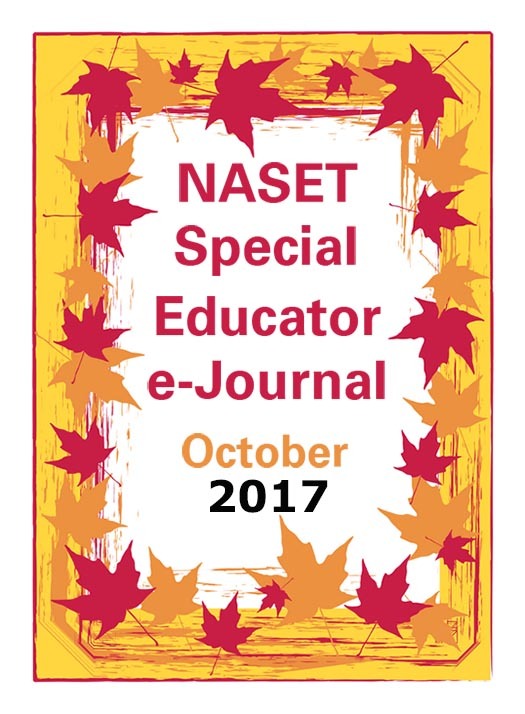 This study examines the field of education and the varying viewpoints on how manipulatives, technology and assistive technology impact the learning of students with special needs. This study summarizes the results of a survey that was administered to elementary school teachers in a district located in a suburb of Westchester County, New York. The purpose of this research is to find out whether teachers find technology or manipulatives more effective for these students, and to get a better understanding of strategies that teachers find successful in promoting academic growth and success in their classroom. The results of the survey will be used to learn what teachers find most effective for their students: manipulatives or technology, and what strategies they find effective so that they can be implemented in a classroom to accommodate the learning needs of students. Rath, T. (20208). Strengths Based Leadership-Great Leaders, Teams and Why People Follow. New York, NY: Gallup Press. 256pp. $10.95. Good Leadership does not require an individual to be well rounded and good at everything. In fact, according to Tom Rath, effective leaders are individuals who focus on their strengths, surround themselves with a well-rounded team of individuals and understand the needs of their followers. A Survey of Special Educational Services Delivered to the Individuals with Disabilities at Special Education Institutes and Centers in Kingdom of Jordan. By Mezyed A. S. Adwan, Ph.D., Special edu.M.A SPL.BSc Nurs. This recent study has aimed at identifying the special educational services available in Jordan governorates during the time period of 2015/2016. The study involved data collection related to the services available in 294 special education centers in all Jordan governorates which are 14 province area. To achieve the purpose of this study a special tool was built by the researcher and judge by a group experts individuals from different specialized areas in the field of special education in Jordan Kingdom. . Data were obtain from the web site of the Higher Council For Individual with Disabilities In Jordan (HCD, 2016),and a group diploma students in my college had interviewed the principals of these special education institutions. Data were analyzed by using SPSS (Version 21). Results indicated that some severe physical therapy is present in all governorates but speech and language therapy is not available in Al tafeelah governorates. However support service and integration is present in all govern governorates except Madaba governorates. Finally, the study confirms that there is a shortage in special education in most of the Jordanian governorates. Furthermore, the type of service is needed to be studied in details. This study is not enough. The types of all programs included in the services should be explored and evaluated. Also results indicate that there was correlation between governorates and institutionalization. Though Amman governorate provides the highest level of institutionalization services. And there was marginal significant correlation between the governorates and the early intervention services (p= 0.058), Moreover, there was significant correlation between governorates and physiotherapy service. Though Amman has the highest indicators. Support service was significant in Amman, Irbid, Zarqa , Mafraq, Balqa. In general there was a significant correlation between service provided by special education centers and the type of disability. This latest monthly legal alert summarizes two recent officially published federal court decisions that respectively illustrate (a) a novel issue under the IDEA, and (b) a set of continuing issues, including procedural FAPE (e.g., parental participation), substantive FAPE (e.g., Endrew F.), and eligibility for extended school year (ESY). The layout follows the usual format of a two-column table, with key rulings on the left and practical implications on the right. For automatic e-mailing of future legal alerts, sign up at perryzirkel.com; this website also provides free downloads of various related articles, including those specific to FAPE-parental participation. National Heritage Academies (NHA), one of the nation's leading charter school management organizations, currently operates 84 schools across nine states serving over 58,000 students in Kindergarten through 8th grade. Founded in 1995 and based in Grand Rapids, Michigan, NHA is a for-profit organization with nearly 5,000 employees. National Heritage Academies is seeking an experienced and knowledgeable Director of Special Education to lead a department in meeting the needs of NHA's student population nationwide. NHA's vision is to transform the lives of students and enrich communities by delivering high-quality educational choice to families. This vision relies on both differentiation and Special Education to meet the needs of each student by ensuring all achieve to their fullest academic, personal, and social emotional capabilities. The Director of Special Education will lead a dedicated team of regional supervisors who collaborate with schools to create customized programs and standardized reporting and data collection. Building on a strong foundation of Special Education curriculum and effective placement practices, the team will continue to raise the caliber of services provided. Reporting directly to the Vice President of Operations and collaborating with other NHA leaders, the Director of Special Education will have the opportunity to work within a vibrant, results-oriented, professional culture filled with other thought leaders. The Director of Special Education will be part of a team that is focused on sharpening best practices and sharing best ideas with the goal of better educating more students. The Director will manage several regional experts and act as the resident expert in practice, procedures, federal and state law, and regulations related to Special Education. This is a full-time role based in Grand Rapids, Michigan. NHA's system of schools is designed to eliminate the achievement gap and provide a public school choice to families so that their children are prepared for success. NHA has the highest renewal rate among charter schools, a key indicator of value and prominence in the market. NHA offers a rigorous and challenging curriculum designed to prepare students for high academic achievement in successive schooling environments. The NHA goal is to graduate students who have not only had the opportunity to achieve academic excellence, but who have also acquired the knowledge and skills necessary to thrive in high school, college, and beyond. A passion and dedication to the mission of serving children and partnering with communities to provide an excellent educational experience permeates the culture of the organization. For more information about National Heritage Academies, please visit www.nhaschools.com. National Heritage Academies has engaged Koya Leadership Partners to help in this hire. Please submit a compelling cover letter and resume to Alena Guerra here: https://koya.refineapp.com/jobPosting/apply/1796. We have an opening in our Preschool for an ESE Preschool Teacher to provide high quality, comprehensive and developmentally-appropriate instruction and child care to meet the individual needs of children and their families. Ideal candidates will have some experience teaching preschool students with disabilities, possess exceptional interpersonal and communication skills and have a passion for teaching young children. Provide a safe, healthy stimulating educational and therapeutic environment, which support each child's growth and independence. Provide leadership in the classroom and individualized instruction to children. Provide a stimulating, safe and healthy learning environment. Develop learning strategies to meet the varied individual needs of the children. Implement teaching procedures and behavioral strategies. Ensure engagement in meaningful activities at all times. Develop appropriate lesson plans and activity schedules. Write Individualized Educational Plans (IEP) and keep accurate data on goals and objectives. Provide individual and group instruction to meet the needs of the classroom population. Complete, maintain and submit all required documentation in a timely manner. Ensure compliance with all health, safety and security SOPs. Ensure that children served are free from abuse and neglect. Respond to incidents, accidents and health concerns. Function as a member of a person-centered team. Provide leadership and training to the classroom team. Keep required licensure up to date. Experience working with developmentally disabled children. Florida Certification ESE K-12/Letter of Eligibility in Special Education. Bachelor's Degree in Special Education, Education or related field required. Certification in an area of Special Education and Pre-K/ Primary. Reliable, consistent attendance is a requirement and essential function of all positions. Employees are expected to be punctual and dependable in order to meet the needs of their department. We offer an employee-friendly working environment that provides for professional enrichment and growth. We offer competitive salary and benefits package. Generous Paid Time Off Policy. Voluntary Dental, Hospital confinement, Short-term, Long-term disability, and Life Insurance plans. Tax-Sheltered Annuity Retirement Plan with employer contribution after six months of employment. We are seeking inspired and dynamic educators to join our team and provide a top quality education for all of our students. Whether you are starting your teaching career or are looking to launch a new chapter, your passion and experience will be deeply valued and your opportunities for growth and impact will be limitless. Your natural talents will be fostered and we will provide the training and support to help you be an incredibly effective teacher. As a Mastery team member, you will be trusted to make decisions and held accountable for critical results. You will engage in a positive and professional workplace embedded in a warm, joyful, student-centered, and welcoming school culture. Mastery Charter Schools, founded in 2001, is a nationally-recognized non-profit charter school network of 20+ schools serving over 13,000 students in Philadelphia, PA and Camden, NJ. Mastery Schools are free, neighborhood public charter schools open to all students living within the schools' respective catchment zone. Mastery schools are organized around a common vision: "Mastery schools are joyful, authentic communities where students learn how to think critically and act independently so they are truly prepared for post-secondary success." Mastery's work is rooted in an unwavering belief that all students can achieve at the highest levels. To fulfill this vision, Mastery recognizes that it must attend to the whole child – Mastery values personal as well as academic skills, and schools match high expectations for students with high levels of support. Mastery Charter Schools is an equal opportunity employer and actively encourages applications from people of all backgrounds. Compensation is competitive and commensurate with experience. Mastery offers a full benefits program and opportunities for professional growth. Reach out to us at recruitment@masterycharter.org if you have any questions! The Lead Special Education Teacher for Cornerstone is an integral member of the academics team whose focus is to guide students in their social-emotional and academic development. In this role, the Cornerstone Lead Teacher will serve as a case manager for all students enrolled in the program (6-10 students), they will ensure compliance with all special education regulations and timelines and ensure all students are receiving services. The ED teacher is responsible for all students engaged in academic experiences guided by high expectations, research-based pedagogy and care for each child’s developmental needs. The Lead Special Education teacher is responsible for ensuring the services are delivered with fidelity. This teacher will collaborate with the academic, wellbeing and student life teams, external partners and services providers as well as parents to provide an unparalleled personalized academic experience. Monument Academy values the personal well-being and professional growth of our staff. The Lead Special Education Cornerstone teacher will create a personalized development plan collaboratively with the Principal and will receive weekly coaching to ensure progress toward personal and professional growth. Create and implement personalized learning plans for each student that are data-informed and Common Core State Standards aligned. Competitive compensation commensurate with experience. Monument Academy is committed to its policy of full inclusion and does not discriminate on the basis of race, color, religion, gender, sexual orientation or national and ethnic origin in hiring and employment, nor in the administration of its educational policies, or admissions policies. The Moravian College Education Department invites applications for a tenure-track position in educational psychology with a focus on special education, inclusive education, and/or disability studies in education, beginning the Fall Term 2018. Members of the Moravian College Education Department view and carry out their work in the context of the College’s liberal arts ethos. Preference will be given to candidates who demonstrate expertise in and a commitment to inclusionary practices and critical disability studies. The Department seeks candidates with experience and knowledge in multicultural education and culturally and linguistically diverse students. Candidates must be ready to share in the work of a thriving Education Department with a clear commitment to social justice, critical perspectives in education, and strong communities of practice. Qualified applicants must have a record of at least three years of successful child-centered, public school teaching experience and hold an appropriate doctorate degree. ABD considered. In addition, successful candidates must demonstrate a genuine desire to participate fully in a liberal arts environment and be committed first to teaching and next to scholarship and service. All positions are subject to budget availability. Successful candidates will have opportunities to teach additional undergraduate courses in early childhood/elementary, middle level and secondary education Other instructional opportunities exist, including the teaching of foundations, Social Studies methods, and educational research. The undergraduate program offers certificates in early childhood education (PreK-Grade 4), middle level education (Grade s 4-8), most areas in secondary education (Grades 7-12), as well as certification in the PreK-12 areas of art, music, and world language. Opportunities to teach in other undergraduate areas in support of the liberal arts curriculum,as well as within the graduate education program, are also available. In addition to awarding the Master of Education and Master of Arts in Teaching degrees, the graduate education program offers certification for principals, supervisors of curriculum and instruction, reading specialists, ESL teachers, and special educators. JCFS is currently seeking a Special Education Teacher to work with individuals and small groups of children (K - 12) with emotional and behavior disorders, which may include aggressive behaviors, in a therapeutic special education classroom. The students attending the Therapeutic Day School have been referred from their home districts to our School to receive an individualized and intensive educational program in our supportive and therapeutic environment. The Therapeutic Day School is located in West Rogers Park, Chicago, IL. Is flexible and able to shift gears quickly based on situations or changing priorities? Is independent with sound professional judgment and the ability to establish and maintain boundaries? Demonstrates the ability to remain calm in high-stress situations while maintaining an understanding and supportive demeanor? Strongly desires to work with those students who have not been able to achieve success in the public/private educational system? Has developed efficient and effective time management skills? Develops and implements individualized curriculum and therapeutic programming in accordance with each student's Individualized Education Plan (IEP). Provides classroom management that recognizes, and includes consideration of, the characteristics of and the methodology of the student population. Collaborates with team members to develop and execute an IEP-driven, multidisciplinary program for each student. Prepares and maintains a safe, healthy, academic, and behaviorally-effective classroom environment appropriate to ongoing and changing classroom activities. Uses therapeutic and general education materials and methods, and plans for their appropriate use. Tracks and records academic and behavior data to determine student progress. Completes a variety of tasks including, but not limited to, weekly lesson plans, weekly grade reports, IEP reports, surveys and assessments. Must provide constant supervision to ensure the safety of students at all times. Effectively manage and intervene in disruptive student behavior, both verbal and physical; including use of Therapeutic Crisis Intervention (TCI) prescribed methods to de-escalate critical situations. Maintains records and writes agency required behavioral reports in timely manner. Participates in qualitative professional development activities. Maintains ongoing communication relationship with all members of the interdisciplinary team to achieve a social and educational benefit for the student. Completed a Bachelor's Degree in Special Education from an accredited college or university. Developed proficiency in Microsoft Office programs, e.g. Word, Excel, and Outlook. Experienced working with special needs students is strongly preferred. Experienced the Chicago Public School electronic IEP systems is preferred. Successfully complete the physical and testing requirements for the Therapeutic Crisis Intervention (TCI) training (Agency provided). JCFS offers an array of benefits including Medical, Dental, Vision, Wellness, Paid sick, follow CPS schedule plus paid Agency holidays, Pension, 403(b), Flexible Spending Plans, Life Insurance, Long-Term Disability, Short-Term Disability, and Long-Term Care. To Apply: www.jcfs.org/careers and select Special Education Teacher position. Jewish Child and Family Services (JCFS) is committed to serving the needs of the diverse Chicago metropolitan area. Accredited by COA. Charter member of CWLA. Licensed by DCFS. JCFS is an Equal Opportunity Employer/Minority/Female/Disability/Veteran. JCFS provides a reasonable accommodation to those who need assistance in completing this application. • MEASURE OUR SUCCESS (Outcome-Based Impact & Quality): Develop and implement program assessments that measure and validate established outcomes and goals for children with disabilities in core competency areas, including skill development, self-esteem, socialization and independence. Develop continuous improvement initiatives to identify program strengths, challenges, and, ROI based on measurable impact and revenue deployed. Ensure all operations are carried out in compliance with the organization's policies and procedures, including applicable regulations and standards. Develop policies and procedures to assure compliance. Family based in Lincoln Park, IL seeks a Private Teacher to co-develop, manage, and implement the education plan/home school program for an elite student athlete who is entering high school next year. Must have a four-year degree, with a special education or learning disability certification; advanced degree in special education strongly preferred. Experience with individualized education plans (IEPs) and at least two years of classroom teaching experience is required. This position includes the opportunity to travel and an interest in sports is a plus! The family is willing to hire the right person immediately for a full-time role to perform tutoring until the 2018-19 school year. This is a full-time position with compensation of $90,000 to $110,000 offered, depending on experience, with benefits. Local candidates are preferred. For consideration, please apply for position #410 at www.mahlermatch.com for consideration. Qualified applicants will be contacted.